Each year, HCA’s awards committee has the difficult task of choosing our Annual Awards winners. This year was no exception, and the recipients truly represent leading lights and experts in their fields. Awards will be presented at our upcoming Annual Conference Awards Luncheon, a highlight of the three-day conference, on May 9 in Saratoga Springs. Last year’s luncheon drew a record audience, and we urge all members to join us in similar numbers to celebrate our 2019 winners, learn more about their achievements and contributions, and cheer them on. Below are the award winners and a brief excerpt from their nominations. We will share more highlights during our awards presentation. Please register here. 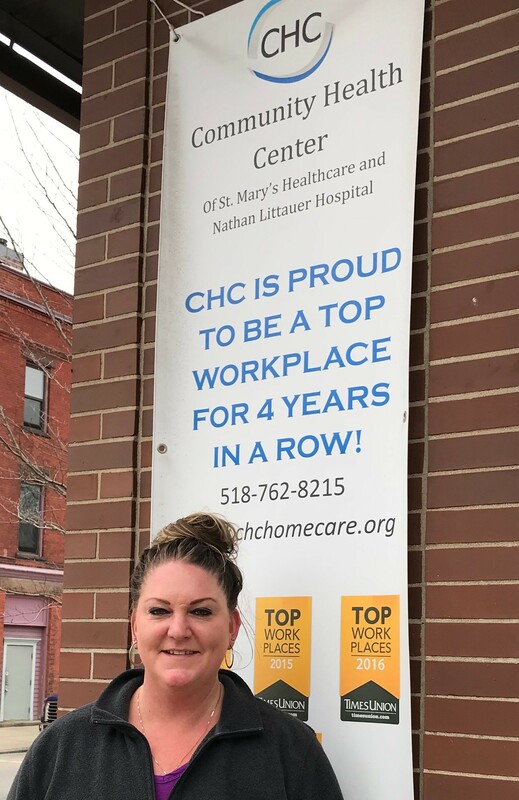 HCA is presenting three Caring Awards to: Catherine DeSeve, RN, at Capital-Region-based Eddy Visiting Nurse and Rehabilitation; Geraldine Singleton, Home Health Aide at VNSNY in New York City; and Jena Yager, LPN at Community Health Center in the Johnstown area. Ms. DeSeve created a process and flow to transition patients safely out of a controlled setting and back into the community with tools and strong support systems. She is also distinguished for “breaking down preconceived notions” and stigmas that can hinder a patient’s care, particularly in relation to behavioral health. Ms. Singleton has been at Partners in Care, VNSNY’s LHCSA, for 40 years, the agency’s second-longest-serving aide! Her trademark has been the close bonds she forms with clients, including an elderly woman from Barbados whose lack of appetite and increasing frailty prompted Ms. Singleton to learn how to cook Barbadian food, helping the patient gain weight and become healthier. Ms. Yager, meanwhile, lets no barrier prevent her from delivering care to those she serves. She is selfless, humble, resourceful but a “rock” that patients trust and rely upon. From having to repeatedly spot-repair a flat tire on her car between patient care visits on New Year’s Day to toughing out a broken nose that occurred after tripping at a patient’s home, she puts her patient first and dedicates herself wholeheartedly to her mission. HCA’s highest honor, the Ruth F. Wilson Award, is presented to Dr. Penny Feldman, Ph.D., Senior Research Scientist/Emeritus Director of VNSNY’s Center for Home Care Policy & Research. Dr. Feldman’s ground-breaking career contributions include: pioneering the use of data analytics and quality measures in home health care; designing and testing numerous interventions to improve home care delivery and outcomes; and working with government officials at the state and national levels to broaden the scope and improve the quality of home and community-based health care. She published some of the first academic studies on the role and career trajectory of home health aides, launching and directing VNSNY’s Research Center, which remains today the only research center in the U.S. dedicated to care that’s provided in the home. Her recognition highlights the significance of research for the home care field. HCA is presenting the Physician Champion award to Dr. Martin Doerfler, M.D., of North Shore LIJ Health System on Long Island, whose medical expertise, devotion of time and extensive collaboration with HCA on our Stop Sepsis at Home initiative were critical from inception to completion. He served as a core member and medical advisor on the Stop Sepsis at Home Steering Committee, following an address at HCA’s 2014 Quality Symposium where his emphasis on pre-hospital, pre-emergency stage sepsis onset helped ignite the HCA sepsis effort. 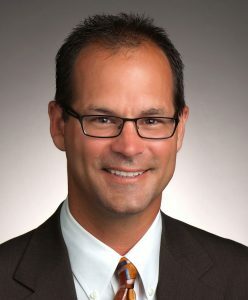 A second Physician Champion Award is being presented to Dr. Thomas Caprio, M.D., Chief Medical Officer at UR Medicine Home Care (URMHC) in Rochester, an expert on quality initiatives and performance improvement whose mastery of regulatory issues has helped shepherd URMHC through multiple successful surveys. He is a certified medical director in long-term care and was one of the first physicians in the country to receive hospice medical director certification. 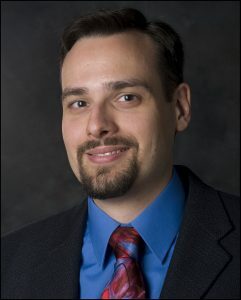 As an academic faculty member at the University of Rochester, he has focused on research projects examining the quality of care of hospice provided to older adults, home care efforts directed at heart failure patients, and the benefits of home rehabilitative services in reducing rehospitalizations. New York State Office For the Aging (NYSOFA) Director Greg Olsen, HCA’s 2019 Advocacy Award recipient, has been a standout and consistent advocate for home care. He has partnered with HCA on strategies for supporting the home care workforce and responding to the worker shortage. He and his team have adopted a proactive orientation to HCA, inviting our views and concrete input on policies. Mr. Olsen is also a state and national spokesperson for the HCA Stop Sepsis at Home initiative, personally hosting webinars, producing a statewide public service announcement, leveraging the participation of county agency departments, and other efforts. 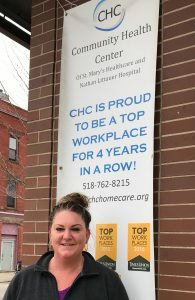 People Home Health Care Certified, Inc. of Western New York is recognized as a team for their efforts to integrate telemedicine technology into community-based care for people with intellectual and developmental disabilities. Inspired by the Delivery System Reform Incentive Payment program, the agency sought to decrease ER visits and improve home care with standardized best-practice care paths and triage software. ER visits have subsequently dropped from 120 to 80 per month, with urgent care visits now executed in the home whenever possible. HCA congratulates our award winners and looks forward to honoring them on May 9.